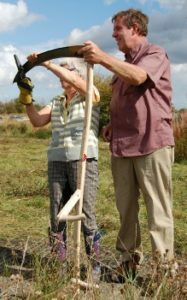 Dunsden Community Orchard is proud to host a special workshop by Clive Leeke of www.austrianscythes.co.uk. He will demonstrate how easy it is to use this alternative scythe design. Starts at 2pm. Take part and help to cut the orchard grass at the same time. 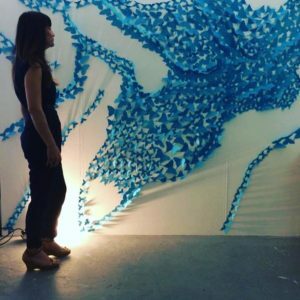 Free workshop, donations welcome. Facilities available thanks to the village hall. 11 October: time for a Fitness MOT? Are you a racing machine or a puffing billy? 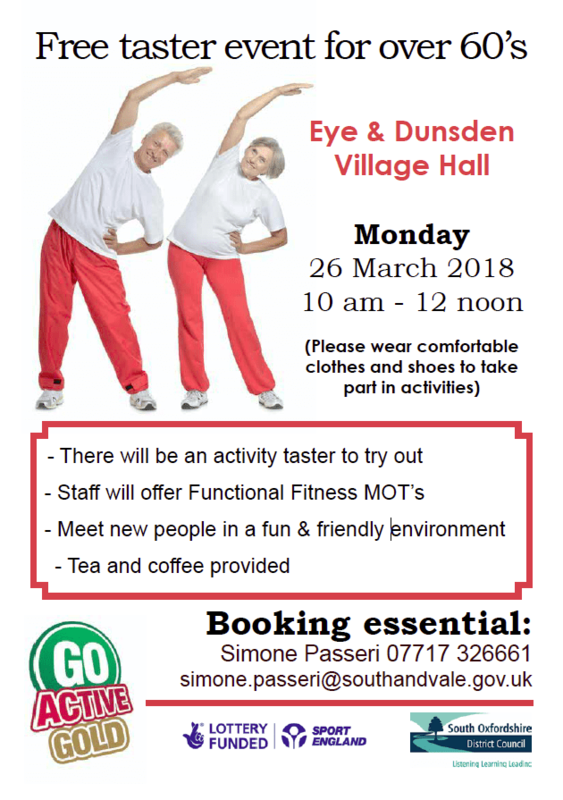 Take part in this fun, free fitness test with the enthusiastic GOActive team from SODC. Begins at 9.30am. Book your place with Simone.Passeri@southandvale.gov.uk or call 07717 326661. 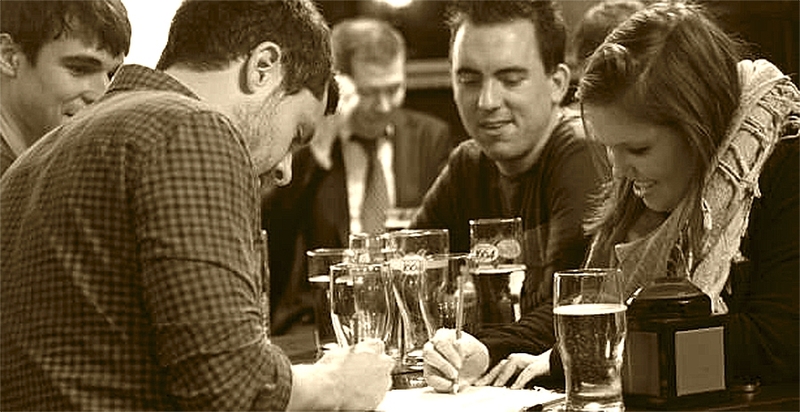 October 20: quiz night is back! Bring a team or join one on the night and take part in a fun and brain-teasing evening. Tickets just £12 including fish & chip supper from buytickets.at/dunsden or in Binfield Heath Stores. Doors open at 7pm. Saturday, March 23, 2019 from 7.15pm. 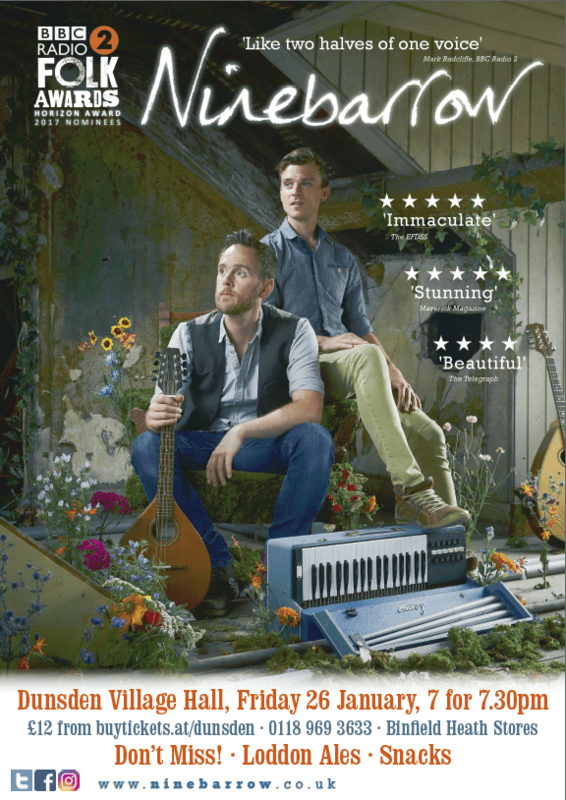 Sure-fire crowd pleasers, Ninebarrow have a keen national following following their frequent radio appearances. 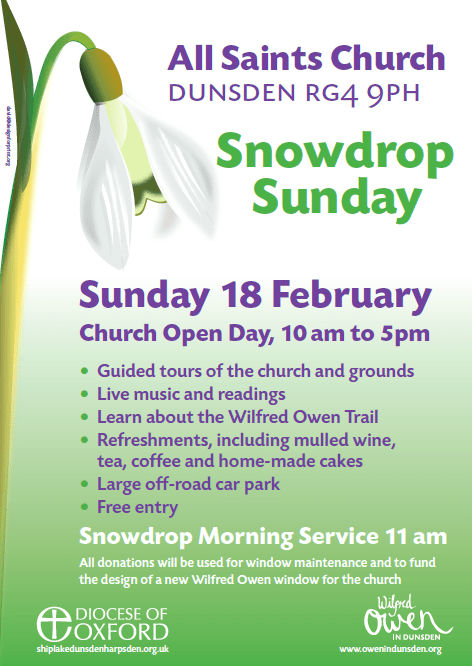 Tickets £13 from buytickets.at/dunsden or in Binfield Heath Stores. The public inquiry into 245 houses proposed by speculators Gladman has now closed with a result expected at the end of October. There was much closely argued debate about the significance of the Oxfordshire Growth Deal for 100,000 new houses in the county before 2031. It was also claimed that the recently selected corridor for the new Oxford-Cambridge Expressway was of significance. The parish council fully supports CAGE’s opposition to the scheme which it considers to be wholly inappropriate for a parish of 150 houses. If you are concerned about this proposal you are urged to attend the inquiry at Henley Rugby Club from 10am. SODC has added land at Playhatch, Palmer’s Riding Stables and Reading Golf Club into a study of possible sites for future housing. CAGE has strongly objected. A further announcement is expected in December. See www.cagedunsden.org for more. Inderpal leads the Legacy of Valour Society (legacyofvalour.org) which is a national community-based initiative which tells the story of the Indian contribution to the first world war. Over 1.5 million Indian service personnel served during 1914–18, with 11 being awarded military crosses. Descendants of WW1 tunnellers tell the remarkable story of their relatives’ remarkable contribution to the British war effort. ‘War…involves the surrender of the Christian ideal and the denial of human brotherhood.’ Quakers in the First World War, and their response to conflict today. 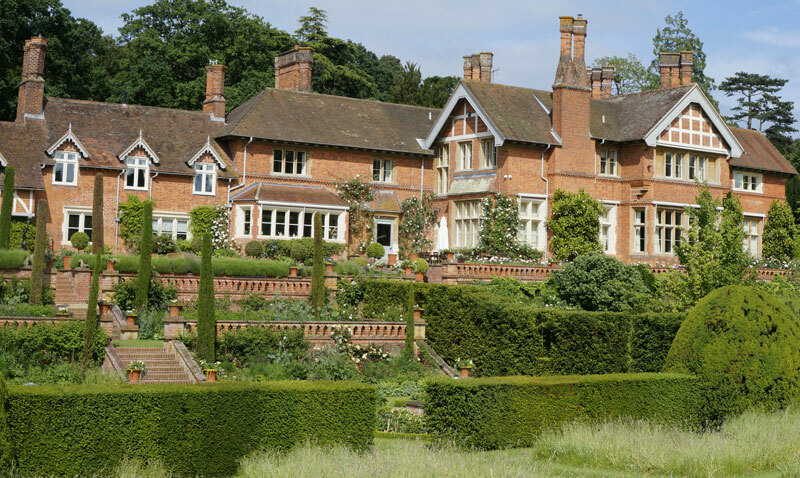 Thanks to the generosity of Jemma and Tristan Phillimore, the lovely gardens at Coppid Hall, Binfield Heath RG9 4JR will be open to the public on Sunday 1 July, from 1.30 to 5.30pm. Sunday June 17, 5.30–9pm. Bring a picnic and enjoy an evening of classical and modern music in the beautiful surroundings of Holmwood, Binfield Heath. Tickets £25 from www.binfieldheath.org.uk or in Binfield Heath Stores. From Shellshock to Post-traumatic Stress Disorder – a look at responses to traumatic events over the centuries, including WWI shellshock, WWII battle fatigue and leading on to the formulation of Post-traumatic Stress Disorder in the 1980s. 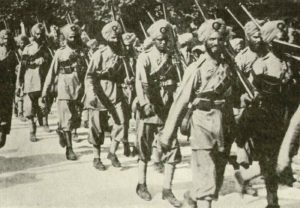 Indian Soldiers in the Great War – Inderpal leads the Legacy of Valour Society (legacyofvalour.org) which is a national community-based initiative which tells the story of the Indian contribution to the first world war. Over 1.5 million Indian service personnel served during 1914–18, being awarded 11 military crosses. Tunnelling for victory in WW1 – Descendants of WW1 tunnellers tell the remarkable story of their relatives’ remarkable contribution to the British war effort. The Society of Friends and pacifism in WW1 – ‘War…involves the surrender of the Christian ideal and the denial of human brotherhood.’ Quakers in the First World War, and their response to conflict today. The orchard by Dunsden Green is planted with a carefully selected range of historic fruit trees, some available for sponsorship: orchard.blogspirit.com. Look out for details of an upcoming apple day. Following doubts raised about the viability of housing at Chalgrove airfield, SODC is to re-examine the possibility of mass housing developments in a number of sites throughout the district, including several close to Reading in both Eye & Dunsden and Kidmore End parishes. A consultation timetable for this important reversal of the local plan process has also been announced. Local residents are recommended to follow this process as it could have major implications for the area. 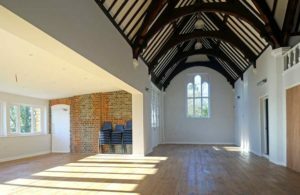 A reminder Dunsden Village Hall has its grand re-opening on May 5. There is an exhibition of wildlife photography by Bill Pound, poetry readings and music. 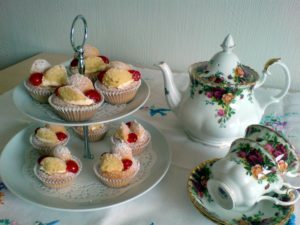 All are welcome after the official opening ceremony for teas and tours from 4 to 6pm. RSVP to Susan Summerland. Kate Howden sings for us tonight. Here she is on YouTube. Don’t miss! CAGE has launched a fighting fund to pay for its battle against Gladman Developments at the planning inquiry in May. Eye & Dunsden Parish Council is in full support of this campaign. Will you join the crowd-funders to help pay for expert evidence to prove just why Gladman’s appeal should be rejected? Nearly 500 people registered their objections to Gladman’s plan for 245 unsustainable houses in tiny Eye & Dunsden Parish, next to Emmer Green. If each contributes just £25, CAGE would meet their £10,000 target. Please help. 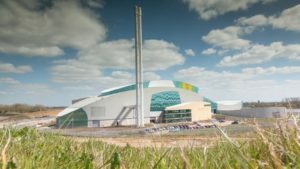 Gladman boasts that it is Britain’s biggest user of the planning system in the UK. They look to exploit weaknesses in the system in order to maximise profit for profit-hungry landowners. 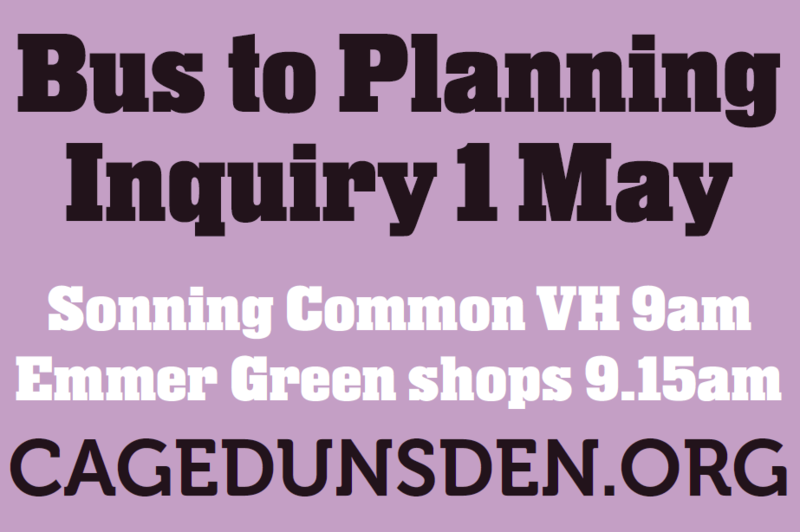 Eye & Dunsden is a parish of just 140 homes. Their proposed development would burst the natural boundary of Reading and cause a valued landscape right next to the Chilterns AONB to be lost for ever. The proposal has many weaknesses, but Reading Borough Council has refused to participate fully in the inquiry. South Oxfordshire District Councilwill be fully represented, but its remit will be limited to the reasons given when they refused the application last year. As an umbrella group representing seven local parish councils and 4 residents’ groups in Reading, CAGE believe it is absolutely essential they are able to bring all the facts to the inquiry. CAGE has the full support of Reading and South Oxfordshire Councillors Clare Grashoff and Paul Harrison and of local MPs, Matt Rodda and John Howell. Please go to the CAGE crowd-funding site now to contribute to this appeal. 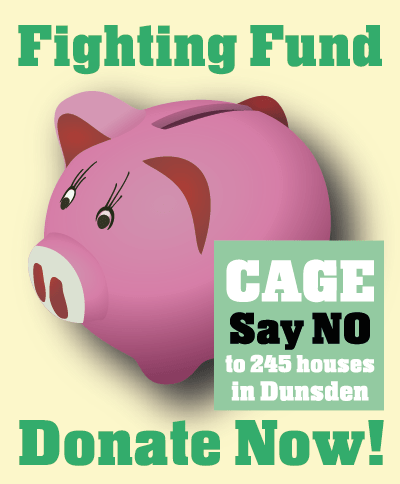 The funds will be managed by Eye & Dunsden Parish Council as part of the CAGE campaign. The inspector’s inquiry into the building of 245 houses near Dunsden will take place in Henley Town Hall at the beginning of May. 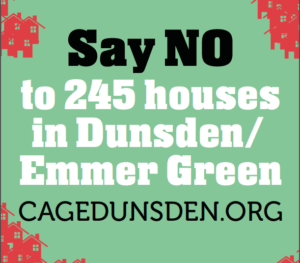 SODC will be putting up a top barrister to fight the proposal, together with help from CAGE Dunsden which successfully persuaded councillors to oppose the scheme. However, SODC will only be arguing on the narrow grounds of their decision at the Planning Committee. We need as many people as possible to write by December 8 to the Inspector with their views. The parish council believes that the development would constitute an inappropriate and unsustainable bursting of the boundary of Reading into the South Oxfordshire Chiltern landscape. One immensely useful submission has been submitted by Caversham & District Residents Association and is available as a PDF here. The Coppa Club in Sonning was refused retrospective planning permission to operate a car park at Frizer’s Farm, Sonning Eye. The matter is in the hands of SODCs Enforcement team. 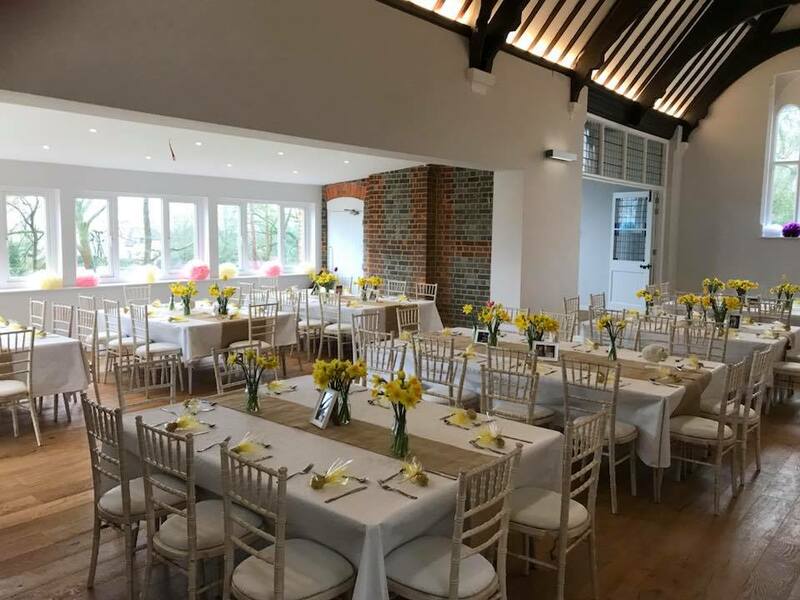 The Coppa Club’s owner’s hope to buy Cedar Cottage, a property next to the Great House, in Sonning, in order to provide the 60+ parking spaces they need. 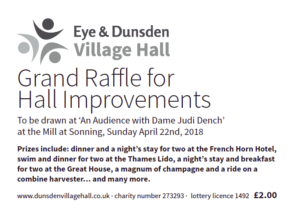 The hall committee is enormously excited to report that Dame Judi Dench has very generously agreed to appear at a special gala matinée at the Mill at Sonning on April 22, 2018, with all proceeds going to the village hall transformation appeal. 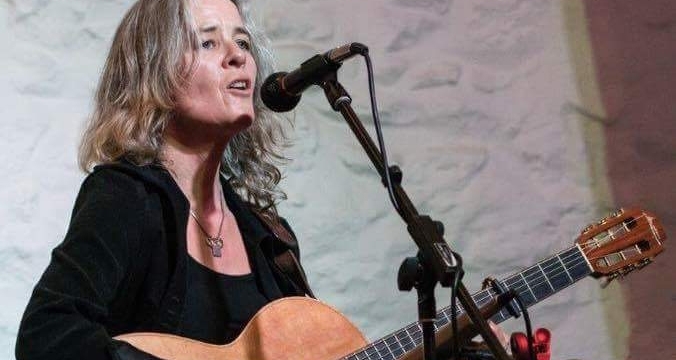 She will be joined in conversation by actor Simon Williams and there will be a raffle with fabulous locally donated prizes. Tickets are £100 to include lunch. Earlybird ticket reservations for local people are now being accepted at the Mill box office: 0118 969 8000. Book now and don’t miss a real treat! Have you booked yet for the fireworks? 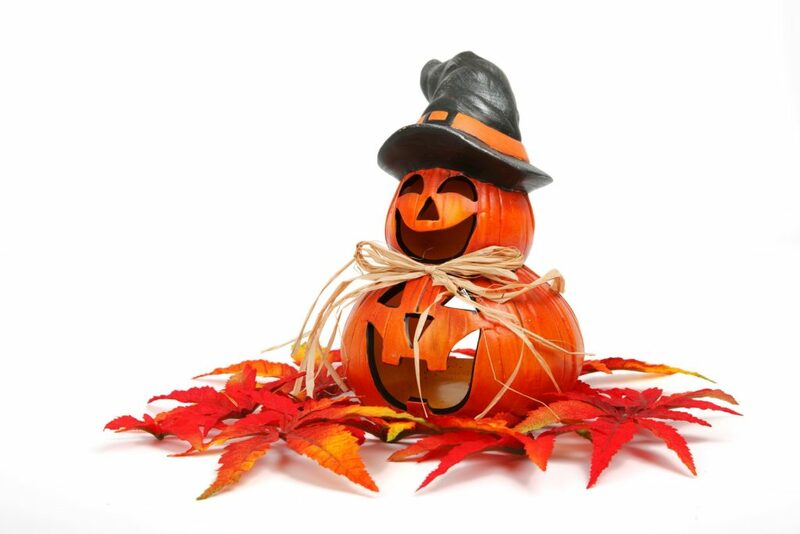 Our family bonfire night, with professional fireworks, is a week today, on Friday 27th. The display is thanks to the generosity of Sonning Fireworks, an award-winning local company with a reputation for spectacular displays. The weather is forecast to be fine. It’s a small-scale, family-friendly event with hot-dogs and other snacks served in the small hall. The rest of the hall is fenced off during the current building works. There’s a licensed bar serving wine and Loddon Brewery ales. Parking is at Dunsden Farm. You can now book tickets quickly and easily online. They are also on sale at Binfield Heath Stores and at the Shoulder of Mutton in Playhatch. The event begins at 6.30pm. 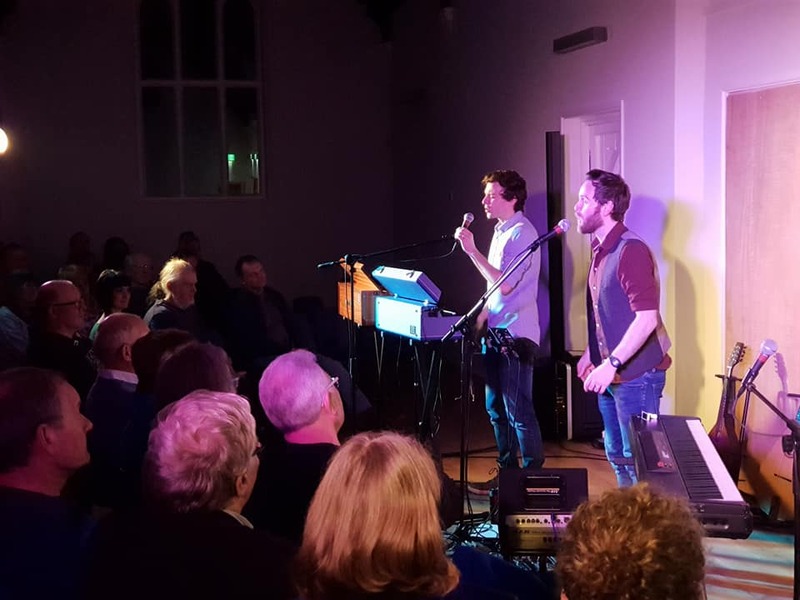 Don’t forget, there’s also a great programme of musical performances at the hall coming up in the next few months, starting with the fantastic Whalebone on Saturday 11 November. 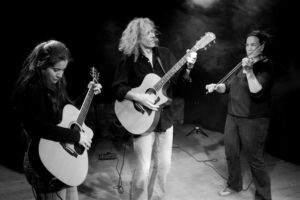 Theirs is a unique style of eclectic acoustic music, which you can sample here. Tickets are just £10 from our online box office, including snacks with a full bar featuring Loddon Brewery ales available. Don’t miss it! 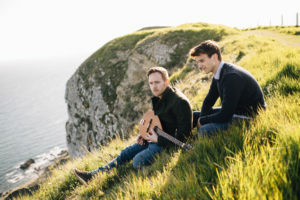 On 26 January we will be hosting a show by award-winning folk duo Ninebarrow, who have been described as ‘stunning’, ‘damn fine’ and ‘perfection’ by critics including The Telegraph, Radio 3 and Mike Harding. The hall’s exciting programme of re-building works is on track for completion before Christmas. 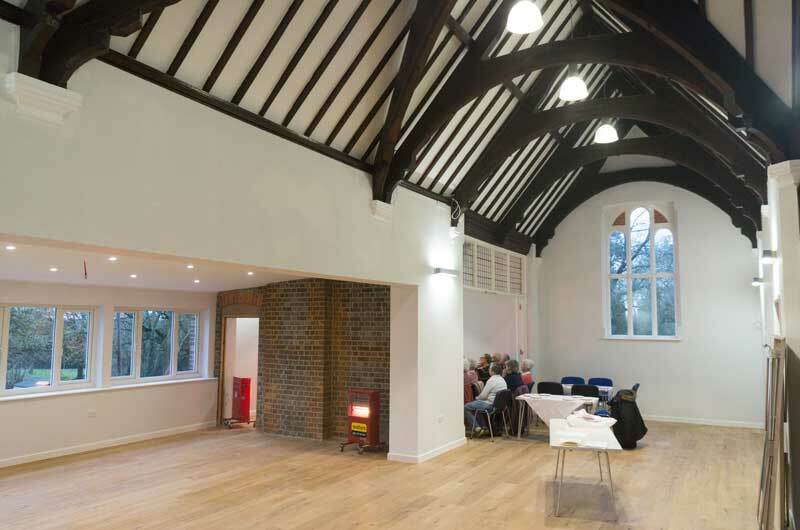 The new extension to the main hall, with its attractive terrace and fully-equipped kitchen will be a great asset for social events of all kinds. The hall’s management committee is looking for new people to help them run the building. Experience is not necessary, and the time commitment is not heavy, but the work is very rewarding. 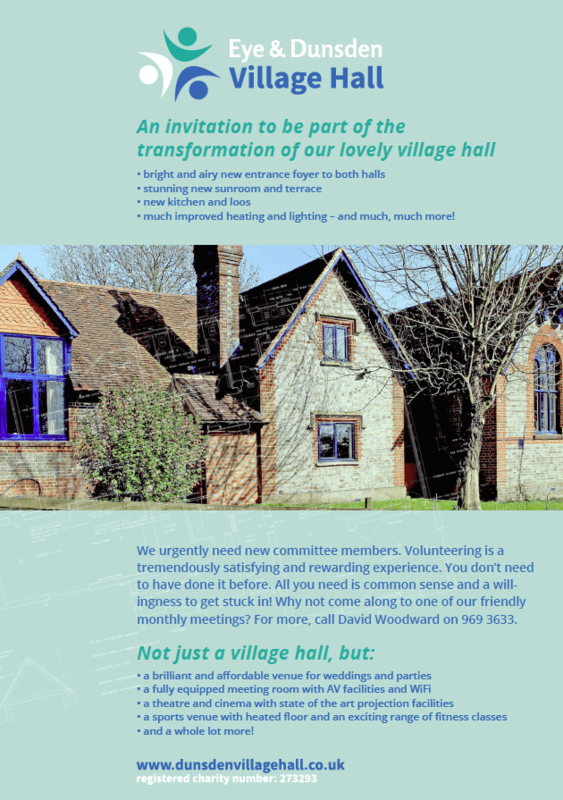 With the new hall heading for completion before Christmas, now is the perfect time to get involved! If you are interested, please contact Ginny. Oxfordshire has not been successful in its bid for funding for the next stage of this project, which was to prepare a complete design scheme. Locals in Sonning Eye were concerned that the scheme (which is intended to keep the road open in times of heavy floding) could make their flooding worse, and cause considerable disruption during its construction. The Parish Council is to poll residents for their views on this issue and on the Third Thames Bridge. A group led by Reading East MP Matt Rodda continues to press for a new bridge. 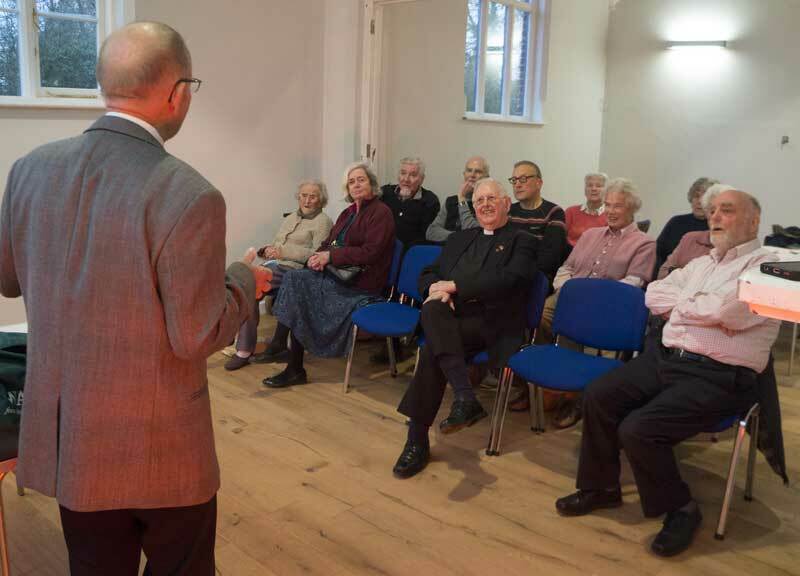 The scheme has the active support of representatives of Reading and Wokingham, with South Oxfordshire and Oxfordshire representatives keeping a watching brief. The scheme’s objective is to get 55,000 vehicles out of Reading, with onward routes including Caversham Park Village and the B481 through Sonning Common. What are your views? Look out for our online poll. The work is on schedule and on target, expected to be completed by the end of the first week in November. New views have opened up across the fields as a consequence of the installation of shuttering which should prevent the road breaking up in future. Gladman Homes have appealed against the refusal of planning consent for 245 houses in fields close to the AONB near Dunsden after a long campaign by the group CAGE Dunsden. The process will run to a strict timetable which has yet to be announced. Our District Councillor, Paul Harrison has around £500 to offer for a specific project in the parish. The council will discuss this at its next meeting, but possibilities include the conversion of the phonebox on Dunsden Green to an information point and book exchange, or the installation of a defibrillator in the village hall. A liaison group was told this week that gravel extraction is expected to begin next week. Oxfordshire’s monitoring officer will be visiting the site on a regular basis to ensure compliance with the planning permission. Kevin Browne is the local plant manager who can be contacted concerning problems with the work. 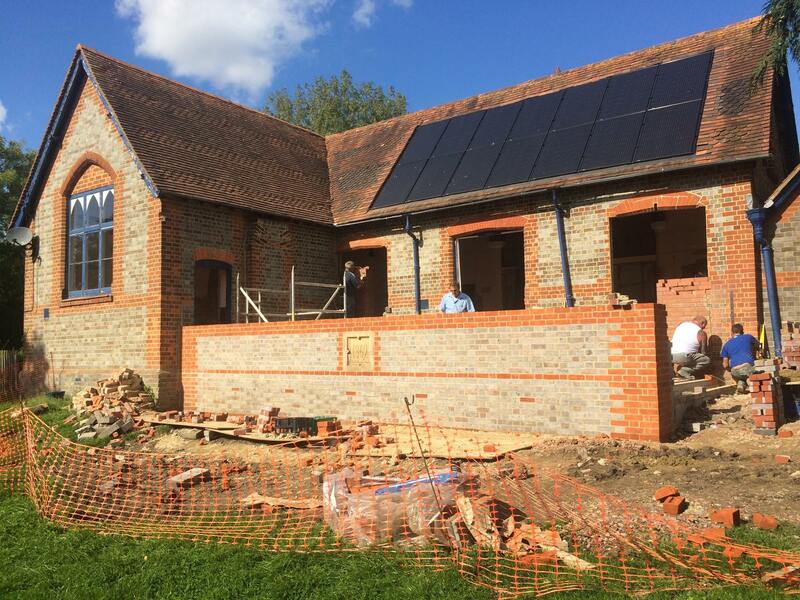 Dunsden Village Hall’s exciting transformation continues apace, with the old foundation stone now set into the wall of the new sun room extension. The work should all be done by the end of November. 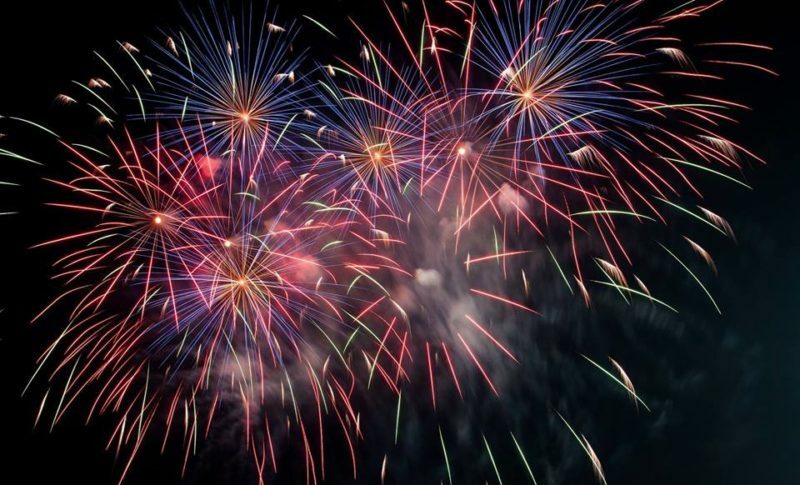 Meanwhile, there are some excellent events coming up at the hall, including the ever-popular family bonfire night, with professional fireworks, which this year is on Friday 27 October. You can now book tickets quickly and easily online. 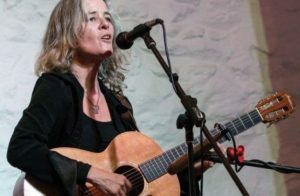 There’s also a great programme of musical performances at the hall coming up in the next few months, starting with the fantastic Whalebone on Saturday 11 November. There’s is a unique style of eclectic acoustic music, which you can sample here. Tickets are just £10 from our online box office, including snacks with a full bar featuring Loddon Brewery ales available. Don’t miss it! The hall’s management committee is always looking for new people to help them run the building. Experience is not necessary, and the time commitment is not heavy. Now is a perfect time to get involved! If you are interested, please contact Ginny. A scheme to build 245 houses in fields close to the AONB near Dunsden was thrown out by SODC’s planning committee on September 6th, after a long campaign by the group CAGE Dunsden. As reported in the Henley Standard, so strong were feelings that two coachloads of protestors attended the meeting, with the support of local MPs John Howell and Matt Rodda. An appeal in the next six months is now possible. SODC have successfully prosecuted a repeat fly tipper who was dumping building waste in Church Road, Dunsden. Reading-based Sam Smith carried out four substantial fly-tips, and was ordered to pay more than £5,000 after being repeatedly caught on CCTV.